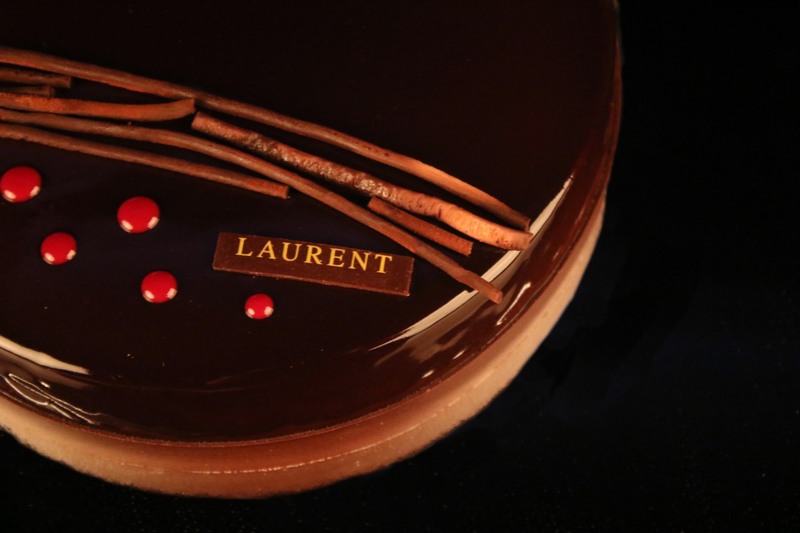 A mousse cake consisting of a chocolate flourless base, topped with dark chocolate mousse and a centre filled with bavaroise cointreau and kirsch (clear cherry brandy) soaked cherries, covered with a dark glaze and red coulis, piped with dark chocolate and decorated with a dark chocolate wooden effect. 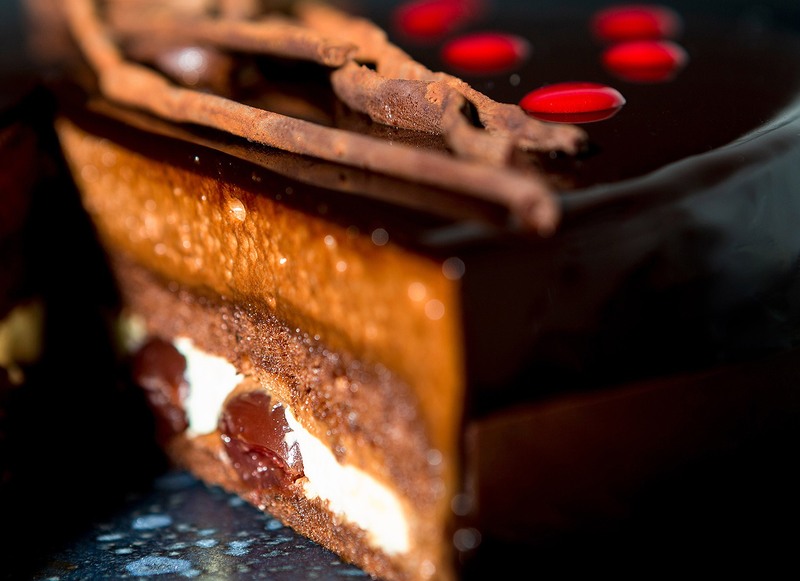 A gothic tale of indulgence reminiscent of The Brothers Grimm, Black Forest cake is an intense journey for the palate in every mouthful. 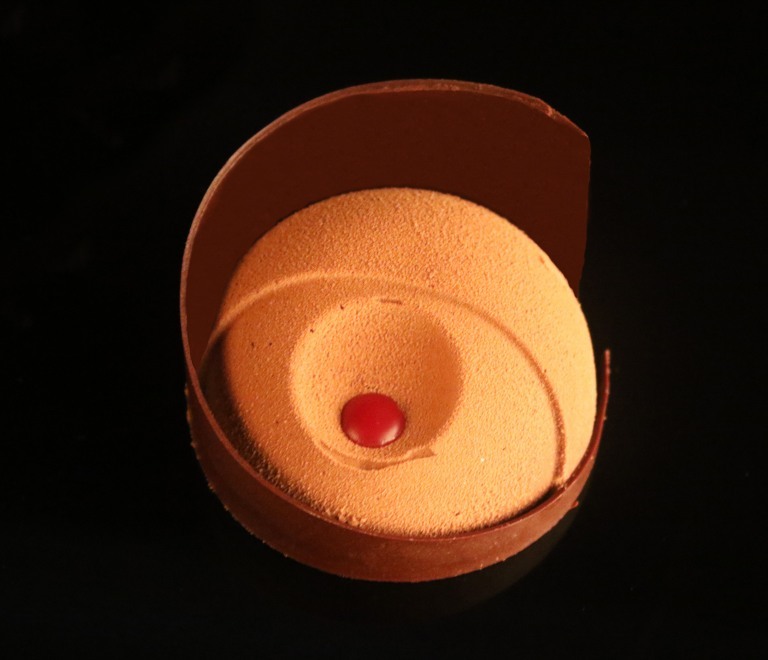 It’s a story where velvet chocolate mousse meets the soft white texture of the Bavaroise Cointreau, laden with kirsch cherries and they waltz till dawn in the deserted ballroom of a Bohemian schloss.